Surprisingly not an adorably accurate nickname for Lionel Messi, LIL KIKR is actually a smooth-looking, aircraft-grade aluminum & stainless steel iPhone/Pod dock from a Seatown designer. 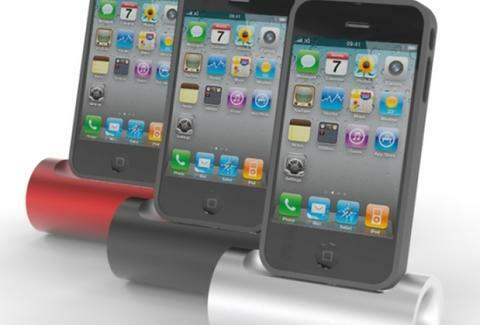 The mad portable gadget securely holds your phone while in use (non-slip rubber! ), amplifies volume by up to 10 decibels, improves speakerphone quality, and is designed to "perfectly integrate with any Apple family of products".